Quinta Del Mar is located 8.2 miles North of Puerto Vallarta's International Airport within Los Flamingos Estates between the Riu Jalisco and Riu Vallarta Hotels. 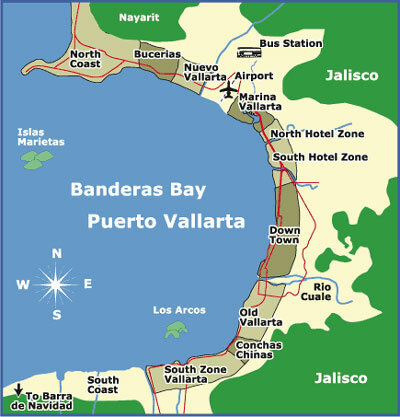 Quinta Del Mar is located in Nuevo Vallarta, just south of Bucerias, on the northern shore of the Bay of Banderas. Quinta Del Mar forms parts of a gated community called Flamingos Estates. This property is spread along the most desirable beach front in the bay. 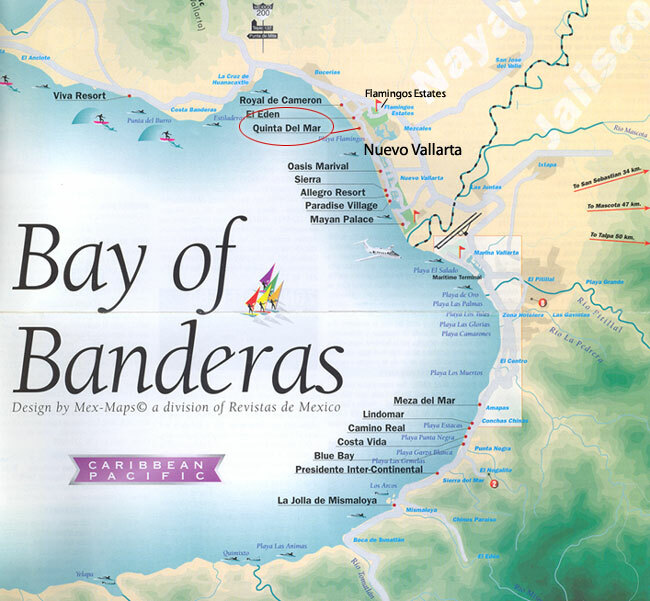 It is a well planned development of condominiums, hotels, cluster homes and well paved & lighted boulevards. Also a Percy Clifford golf course has recently undergone a 3 million dollar renovation. Its 72 par course is both challenging and beautiful with its natural vegetation and views.